Bowtie Tony’s Welding would love to help you with your custom metal fabrication projects and we can even help with your custom designs. No matter what the purpose is, we can help you achieve your goals. 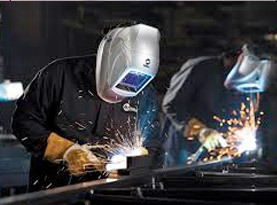 Bowtie Tony’s Welding offer consultations where we can sit down and discuss plans with you and brainstorm ideas. 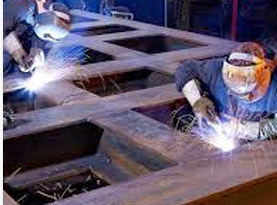 Metal fabrication is a process that involves cutting and bending metal to form template, boilerplate products or structures. 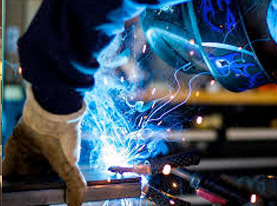 Custom metal fabrication, however, requires cutting metals in a specific way to meet the exact requirements of our customers project needs instead of attempting to simply maintain a standard size or look. Bowtie Tony’s Welding uses a wide range of specialized equipment in our custom metal fabrication to achieve the desired end result. The most common metals we use include aluminum, copper, carbon steel and stainless steel. Metals start our custom metal fabrication process in one of two forms, either structural or sheet metal. Sheet metal is available as rolls or rectangular sheets of different sizes and thicknesses. When sheet metal is thicker than 3/16”, we refer to it as a plate. In contrast, structural metal comes in many different forms such as angles, beams and channels. Our custom metal fabrication process occurs in three different stages; metal cutting, forming and assembly. Metal Cutting – Bowtie Tony’s Welding utilizes several tools such as lasers, notches, plasmas, punches, saws and shears to cut metal. 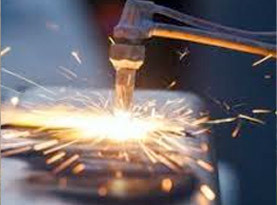 Metal Forming – Forming happens next after metals have been cut. The main techniques we use to form the desired shapes are press baking and rolling. Both of these techniques can be used to form metals of a wide array of thicknesses and sizes. Metal Assembly – Once the metals have been cut and formed, Bowtie Tony’s Welding assembles and joins them. We typically achieve this by welding the pieces together with intense heat without compromising the integrity of the individual metal pieces. There is nothing quite like the beauty and craftsmanship of handcrafted metalwork. Whether the product you require is purely functional, aesthetic or both; custom metal fabrication work certainly stands out! Rather than a “one size fits all” approach, Bowtie Tony’s Welding can customize products to your exact, unique needs. Contact us today to discuss your next project!